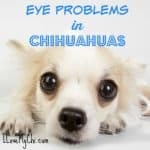 Chihuahuas as a breed are prone to a very serious disorder called hydrocephalus, which is a buildup of fluid on the brain. It is not a diagnosis you’ll want to receive, but it’s best to recognize the situation as early as possible. Hydrocephalus is a development of cerebrospinal liquid in the head of a dog between the cerebrum and the skull. The liquid does two things; it debilitates the bones of the skull and misshapes them. The weight from this extra liquid pushes on the brain itself, bringing on neurological issues. Puppies can be born with this condition or it can happen due to a brain tumor or head trauma. Most cases are diagnosed when a dog is a puppy. The dog will have a large dome shaped head. 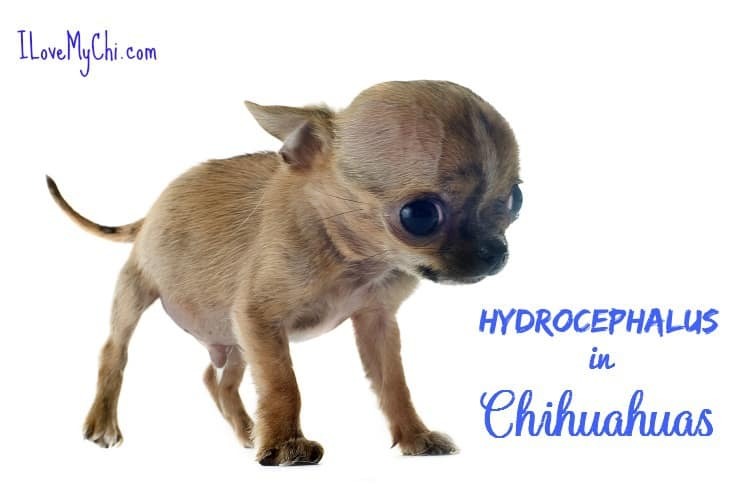 Hydrocephalus will influence a puppy’s capacity to learn at a normal rate, and can affect their behavior, such as hyper strolling, hitting their heads against a wall, and seizures. Treatment relies on upon the seriousness of the condition and the disease progression. The objective of treatment is to re-set up the balance of production and absorption of the liquid in the cerebrum. Recently, there has been a medication presented call omeprazole, which has effectively decreased the generation of the spinal liquid in dogs. Corticosteroids, for example, prednisone or dexamethasone, have additionally been utilized as pharmaceutical treatment of the puppy. Diuretics may likewise be prescribed to diminish the weight inside the puppy’s skull by advancing the disposal of liquids in the urine. Veterinarians attempt to utilize surgery if all else fails, after no other strategy has hinted at working. The objective of surgery is to shunt the abundance the cerebrospinal liquid from various areas in the body. 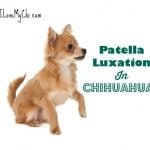 Although treatable, dogs with this condition will be mentally slow and cognitively impaired. They will have a shortened life span too. Most do not live past the age 2. Watch this video of little Zada if you want to see what a hydrocephalus puppy looks like. 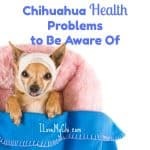 Although a Chihuahua with hydrocephalus will not have a long life, they still can have a good quality of life while they are here and can be sweet loving little dogs. I too have a chihuahua. She was diagnosed at 6 months. She is now 10 yrs. Old. She progressively gets worse and hasn’t walked for yrs. . We love her so much. 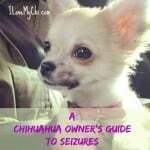 It’s like having ALS,Parkinsons and many diseases in one little Chihuahua. Wow she’s made it to 10 years old! Most of them don’t make it to two. I’m glad she has such a good mommy Debra. Thank you. We love her dearly and she has a good vet. Lots of money and lots of carrying her and lots of love. My lil one has it too. He is 10 years old and we spoil him rotten. The disease has affected his eyesight. He has to wear a halo, which works great. It keeps him from hitting his head on walls, doors and objects. We just make sure he is loved and comfortable. Wow, he’s lived a lot longer than most of them do Marti. You must be doing something right. Thank you. We love him so much. I know we did ours. She lived 11 yrs. I’m so sorry for you 🙁 Wish I could give you better news. Yes, if you leave him unmedicated, it will get worse. Either way, he won’t live very long. Most puppies live to the age of 2 although there have been a few that lived to 8 or so. Although most are not in pain, if they are left unmedicated too long, the pressure can build up and cause more pain and more brain damage. when you say they live to age 2 does that mean on medication ?? what about surgery?? if i do surgery will he be perfectly fine or will he still have problems?? I can’t tell you how long he will live or if surgery will help him live longer. 2 years old is the average. But with medication, and possibly surgery if his vet thinks he needs it, he has a better chance of living longer. If you check the other comments here, you will see one person has a chi with the condition who is 10 so it is possible for them to have a longer life. He will probably never be perfectly normal, even with surgery. But he can have a good quality of life and be a happy little guy for how longer he is with you. Thanks for chiming in Debra. Since you have had first hand experience with this, you can address it better than I can. Mine lived to almost 4. I knew she was ill the first time I saw her and didnt want to get attatched but the way she lived life so bravely and with such spirit I fell completely in love with her. I got good at caring for her and the last 6 months of her life were great until she fell 6 inches off a fouton bed. She yelled in pain and had seizures all day but seemed OK. She never recovered and died a week later. I think she hit her head which had too little skull bone to shield her brain. Shed still be here if I wasnt careless. Like many say about a hydro dog they had she was the love of my life. I think of her every day. I miss you Baccha, bravest soul I ever met. What a special little girl Billy. It sounds like you gave her a wonderful life. Don’t beat yourself up over the fall. It could happen to anyone and you wouldn’t expect 6 inches to cause a problem. Aww sorry for your loss. Mine lived 11 yrs. And she was the love of my life. Glad you kept her . I had one as well. Lost him this past Nov due to sezuires that wouldnt stop. He was 2 1/2 pound of pure fury. His name was Nano. He was 10 days from being 4 years old. My best friend. My soul dog. He was never at the doctors till the end. Thats when I found out he had a massive heart murmor as well as water on the brain and an open fontenel……. The vet was good to me he said Nano was otherwise super healthy and was very vocal about what a good job i had done with him. 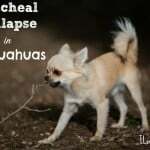 That the dogs with this dont useally live as long. I explained all the things I did for him and he said he was well taken care of and well loved and thats what keeps them going. I am sad for all the lost pups with this but just know God wanted him to stay with me. And he wanted all of you guys to be special pup moms and dads. He will forever be a part of me. I’m so sorry you lost your precious Nano Janis but I am glad you had 4 years with him. He sounds like a special little guy. I have a 9 month old puppy with hydrocepholus. He was diagnosed at 8 weeks when he went in for his first shots. They vet wanted to put him down right then,but I refused. He has been on omeprezole and gabapentin since 3 months when I found a new vet who would see him. He had a seizure at 5 months. But no more since they increased his gabapentin. He circles but can stop himself when I call him. He is potty trained. His name is Tommy and he’s the sweetest little guy. I’m so glad you didn’t give up on him Lois! Tommy sounds like a wonderful little puppy.